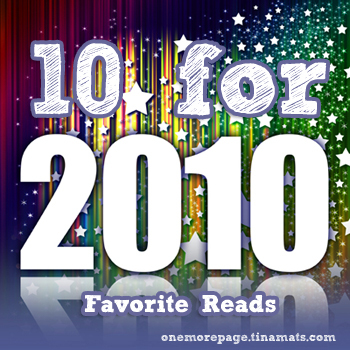 So presenting today’s 10 for 2010: Most Anticipated Books for 2011. 2. Deadline by Mira Grant (May 2011) – Feed was one of my favorite books for this year, and the one year wait for its sequel is already long enough, don’t you think? More zombies, more politics and more blogging must be in Deadline…and maybe even a radio thing? I don’t know. But I am definitely looking forward to this one. 3. Sweet Valley Confidential: Ten Years Later by Francine Pascal (March 2011) – Two words: Sweet. Valley. Need I say more? 6. One of Our Thursdays is Missing by Jasper Fforde (March 2011) – Just like Sarah Dessen, Jasper Fforde is on my auto-buy list. Thursday Next is one of my favorite heroines, so it’s imperative I get a copy of the sixth book. And maybe refresh myself with the series, too. 8. A Monster Calls by Patrick Ness (May 2011) – Okay, so I’ve only really read one book and a novella from him, but I like him already. While I wait for his new book, I will finish the two other books in the Chaos Walking series. Yes, I will. Allison Hewitt is Trapped by Madeleine Roux (January 2011) – I saw this book on The Book Smugglers and I loved how it started out as a blog, too. Blogging and zombies again – one of my favorite combination. Must get this one. Sweetly by Jackson Pearce (August 2011) – I love the cover, and I love the Hansel and Gretel retelling idea. I enjoyed Jackson Pearce’s Sisters Red, so I am excited to get my hands on this one, too. Where She Went by Gayle Forman (April 2011) – I loved If I Stay, and the idea of the sequel is just…well, awesome. I can’t wait to know what happened after Mia’s ordeal. I’m giving away some of my favorite books in 2010 in my Anniversary Giveaway! Know why Patrick Ness is one of my auto-buy authors now through The Knife of Never Letting Go! Every comment you leave is one entry — the more comments you leave, the more entries you get! :) Click the image for the mechanics and the list of prizes! 1. Patrick Ness – I’ve heard of his Chaos Walking series a lot, and I wasn’t really planning on reading it. But boy oh boy, I’m glad I started. Patrick Ness is one of those authors from where awesomeness comes. And this is only me raving about the first book (and the novella). And I absolutely love it that he’s a runner, too. 4. 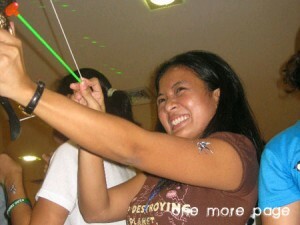 Mina V. Esguerra – I got to talk to Mina online last year because I asked her for a pep talk for the Pinoywrimos, and this year, she sent me an email about her ebook. I loved Fairy Tale Fail so much that I re-read My Imaginary Ex, and when she announced that she has a new book coming, I stalked the bookstores more often just so I could find it. Mina is now one of my favorite local authors, and she inspires me to finish my other NaNo chick-lits. :D I look forward to reading her future books! 5. John Green – I’ve heard of John Green for the longest time now, but it took me this year to read his books. I now understand why he’s such a staple in the contemporary community. John Green is the male version of Sarah Dessen, only quirkier, funnier and he has he most awesome sidekicks. When oh when are you coming out with a new book? 8. Carrie Ryan – Her books made me love zombies again. Not everyone liked her books, but she has this way of writing that pulls me inside her world and make me feel what the characters feel and see. I love how thematic her zombie novels are, and how she never used the word “zombie” in her series. :D Someday, I want to write like she does. 9 . Mira Grant – I have professed my love for her zombie book, Feed, so many times in this blog, and I really, really cannot wait for the next book, Deadline. Should I even explain more why she’s here? I am very curious about her other books she wrote with her real name, Seannan McGuire — if only I can find copies of them here. 10. Stephanie Perkins – This author just totally rocked my contemporary world this year. It’s obvious that I love Anna and the French Kiss, and Stephanie is such a cool person online that it’s plus points for her. I cannot wait to read what she comes up with next. Again, I’m giving away some of my favorite books in 2010 in my Anniversary Giveaway! If you haven’t read a John Green book ever, then here’s your chance to get his third book, Paper Towns for free! Every comment you leave is one entry — the more comments you leave, the more entries you get! :) Click the image for the mechanics and the list of prizes! I am a sucker for a good romance. Not a love triangle, mind you, but an honest to goodness believable romance. I was never a fan of the love at first sight thing, nor those romances where the two characters barely know each other and fall in love. I like my romances developed over time, and I like good friendships that serve as a foundation for those romances. Did that make sense? So today’s 10 for 2010 are the couples that made my toes curl, made my heart beat faster and made me sigh with happiness as I closed the last page of their book (or the latest book, in case it was a series). 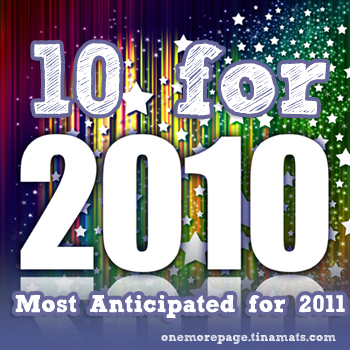 Here are my Top 10 Couples for 2010. 1. Anne Elliot and Captain Wentworth (Persuasion by Jane Austen) – Do I really even have to explain this? :P Austen really knows her couples and even if the language is old or there aren’t many breathtaking moments in her stories. There always seems to be an ultimate breathtaking moment in the story. I mean, how can Anne Elliot say no to a letter that tells her, “You pierce my soul. I am half agony, half hope. Tell me not that I am too late, that such precious feelings are gone for ever. I offer myself to you again with a heart even more your own than when you almost broke it, eight years and a half ago.” It’s no wonder so many people love Austen. 3. Fire and Brigan (Fire by Kristin Cashore) – Fire and Brigan are like Anna and Etienne in a fantasy world, and then some. Fire was apprehensive of Brigan, and we had no idea what was going on in Brigan’s mind. And then the two started talking. And talking. There’s a certain sweetness in how their relationship developed that makes me smile. 6. Ellie and Lucas (Fairy Tale Fail by Mina V. Esguerra) – What’s not to love about this relationship? I like how they started out as friends, and how Lucas wasn’t a rebound guy for Ellie. I like how uncomplicated things are for them. I love that they’re both okay with themselves before they got together, and this goes to show that you need to be your own person before being with someone else. 8. Ally and Jake (She’s So Dead to Us by Kieran Scott) – This couple is fun. Snarky, and fun and cute. I want them to be together, and it was really good that the author gave us a chance to see both sides of the story. Their love story is cute and fun, and I look forward to the next installment of this series. 9. Eddie and Jane (Shades of Grey by Jasper Fforde) – They are the probably the oddest couple in my list, true to Jasper Fforde’s quirky style. They’re not particularly sweet, but I love their team-up and I love how their relationship developed. :) That final twist at the end of Shades of Grey was awesome, even if it seemed like the two are going to go against all odds. 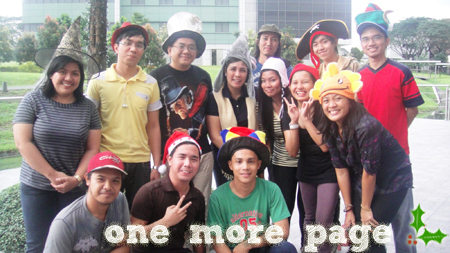 Too bad the next book won’t be out anytime soon. 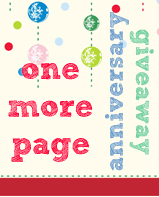 Oh, and you do know I’m giving away some of my favorite books in 2010 in my Anniversary Giveaway, right? See why Anna and Etienne are such a lovable couple in Anna and the French Kiss by Stephanie Perkins. Every comment you leave is one entry — the more comments you leave, the more entries you get! :) Click the image for the mechanics and the list of prizes!